Assoc. 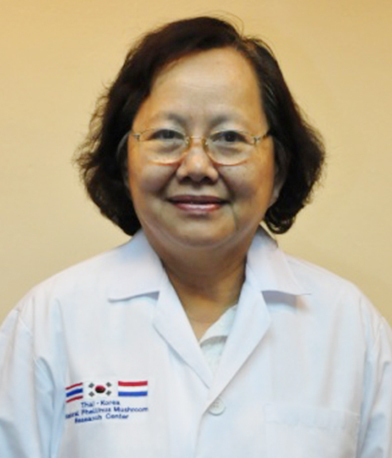 Prof . Dr. Panee Sirisa-ard graduated in Pharmacy at Chiang Mai University and obtained her Ph.D in Pharmacy in 2006. Among her fields of specialization are formulation of Pharmaceutical dosage from Medicinal plants and traditional medicine. She is an expert on Pharmaceutical Sciences Traditional Medicine products development, Research and Development of Herbal medicine, formulation and modernization of medicinal plants besides she has studied the materiamedica of palm leaf and mulburry leaf manuscript of Lanna, Ancient Northern Thai, culture.